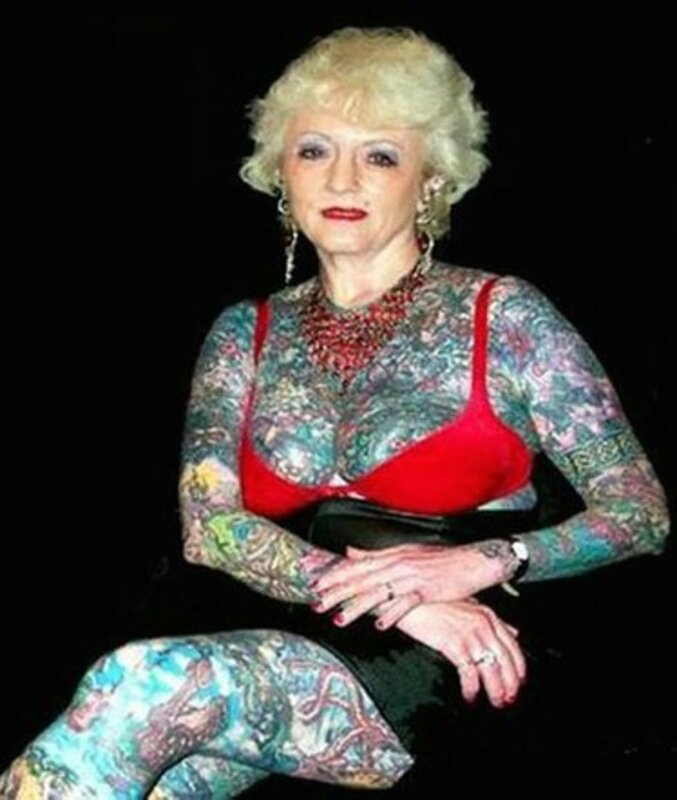 Are you new to being tattooed? Are you intimidated by this entirely new world? Without even getting into how to book appointments, how to work with your artist, and the various different expectations that come with tattoos and the process itself, you need to first worry about what kind of tattoo you want. Maybe you're used to googling "tattoos" or looking up "tattoo ideas" on Pinterest. 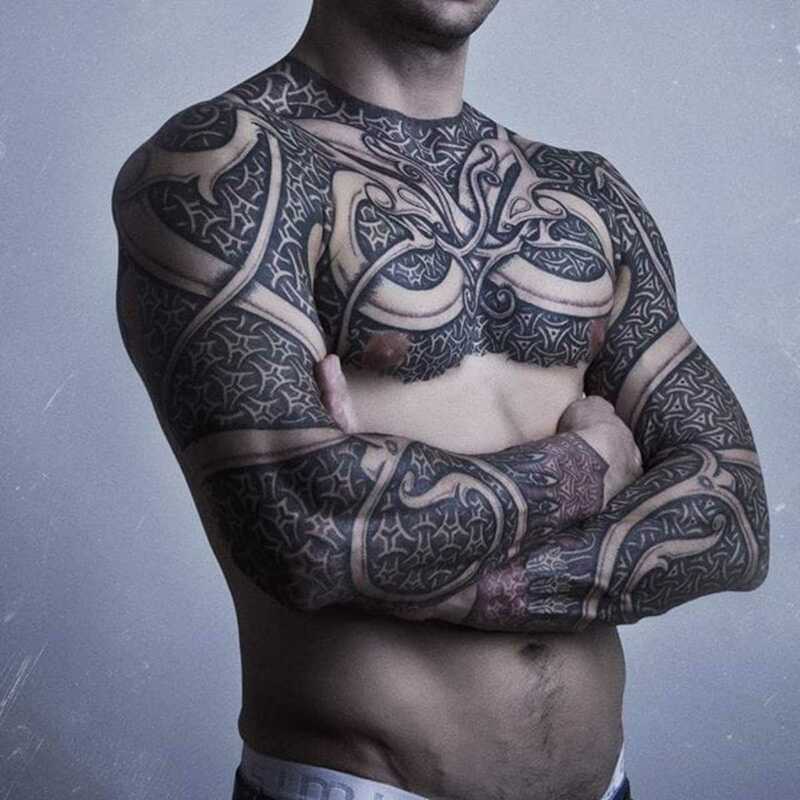 There's anything wrong with that, but there tends to be a lack of identification of tattoo style in those pictures. 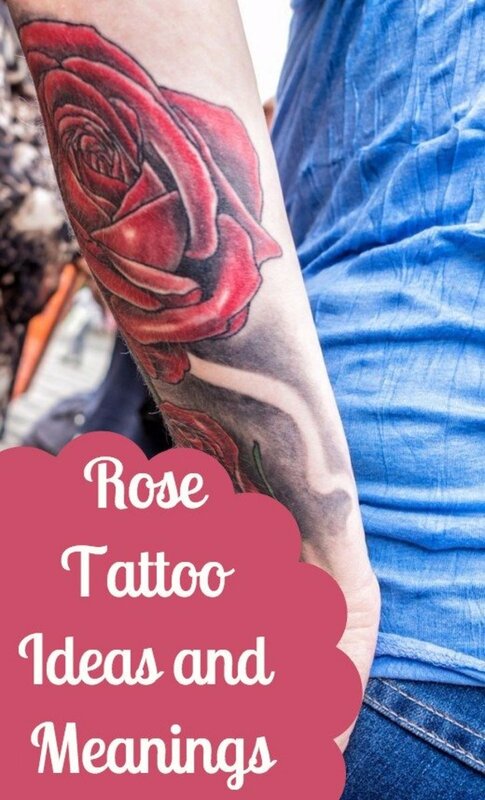 In this article, I aim to break down the mainstays of tattoo styles and then go break them down into more specific styles, then try my best to give a few great artists of each style. Please keep in mind that because I'm in New York, I will be recommending a lot of East Coast artists. What better to start with than perhaps the most recognizable style: American Traditional. American Traditional was originally inked onto sailors, and was pushed into prominence during World War II by tattoo legend Sailor Jerry, who was Ed Hardy's first mentor. American Traditional is characterized by strong bold lines, a limited color palette, and a two dimensional feel, and the ability for it to look like a "sticker", as in it can be clearly identified as a tattoo, and what it's a tattoo of from across the street. 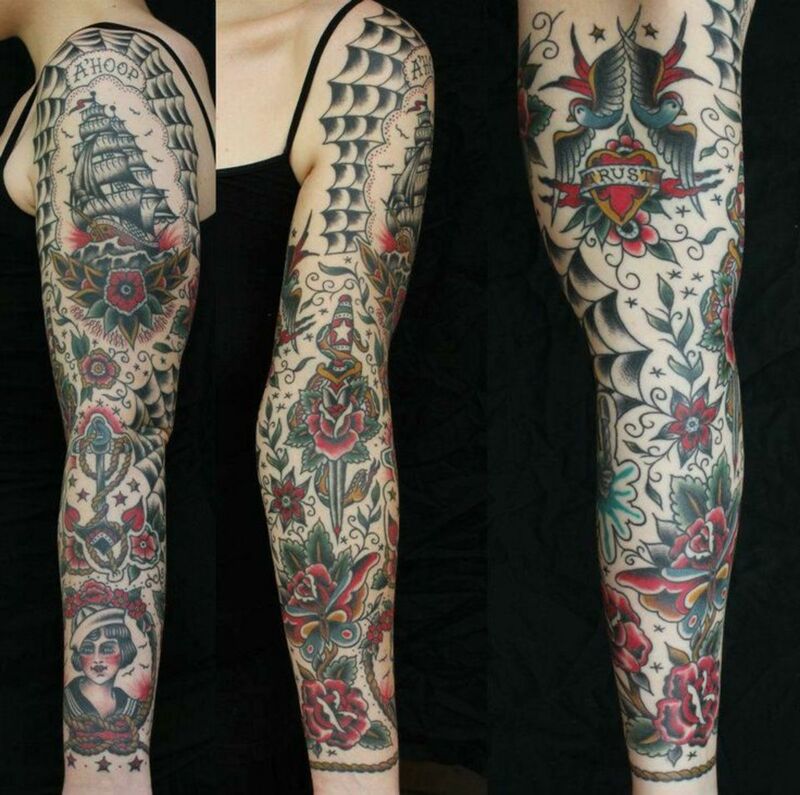 Sleeves in the American Traditional sense are not necessarily like those of other styles, where the entire arm is covered in tattoos, because of how the tattoos themselves sit, American Traditional sleeves need to be "filled in" with pins and stars or spiderwebs, or not at all. 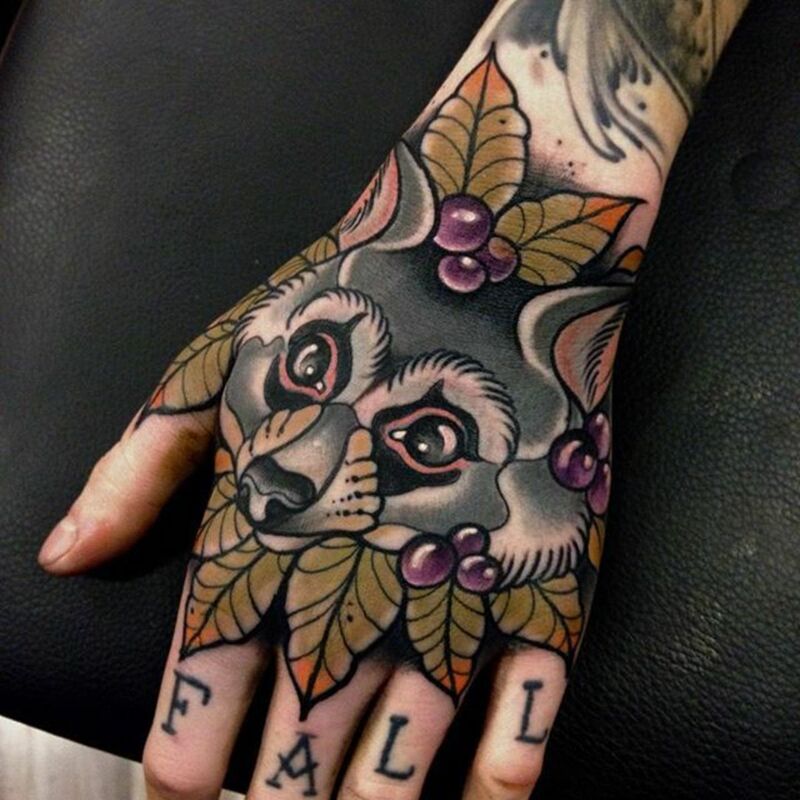 Personally, all of my current tattoos can be classified as American Traditional. Traditional Japanese tattoos, called tebori or irezumi, originated in Japan around 10,000 BC, in the Jomon period. In this time, the tattoos were mostly tribal looking. Demand for this style of art put onto the skin was instantaneous, and the artist who carved the woodblocks used the same tools on human skin, which is why all Japanese tattoo artists take the moniker of hori or "carve" in Japanese. They also used the famous ink that turns blue green under skin, called Nara ink. It is made with the traditional inksticks used for calligraphy. The reason that it's bluegreen is due to the fact that they did not have true black ink, merely dark green. 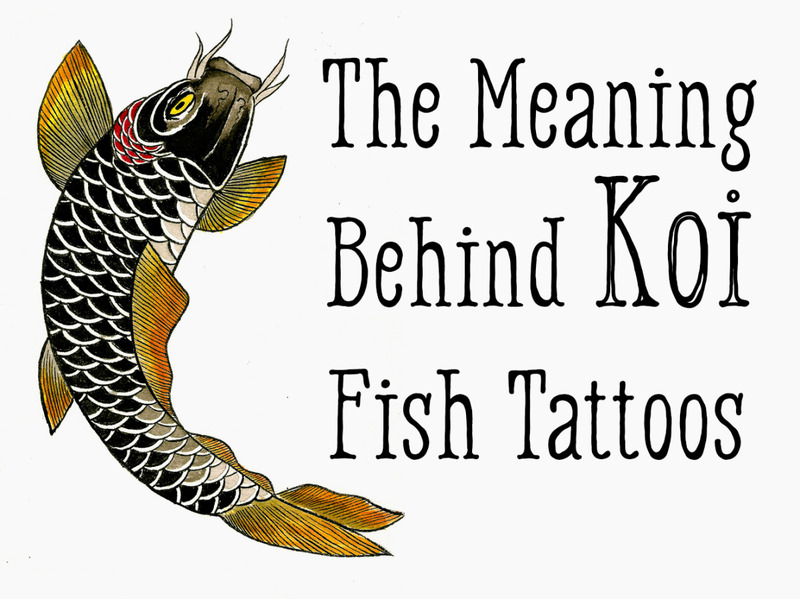 The hallmarks of a Japanese tattoo is very heavy symbolism and a large amount of space taken. 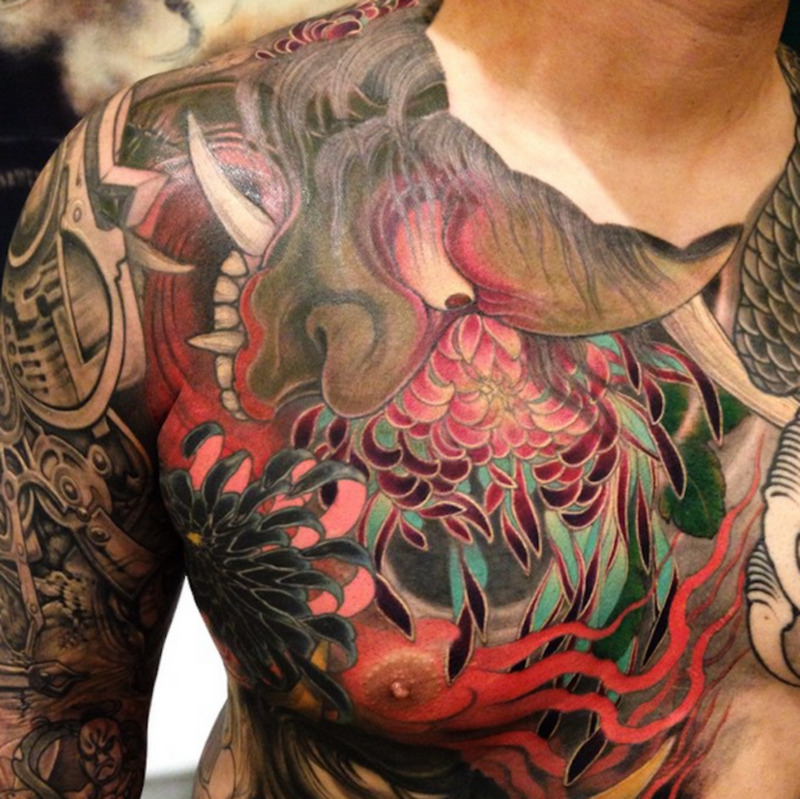 Traditional Irezumi created full bodysuits for people. 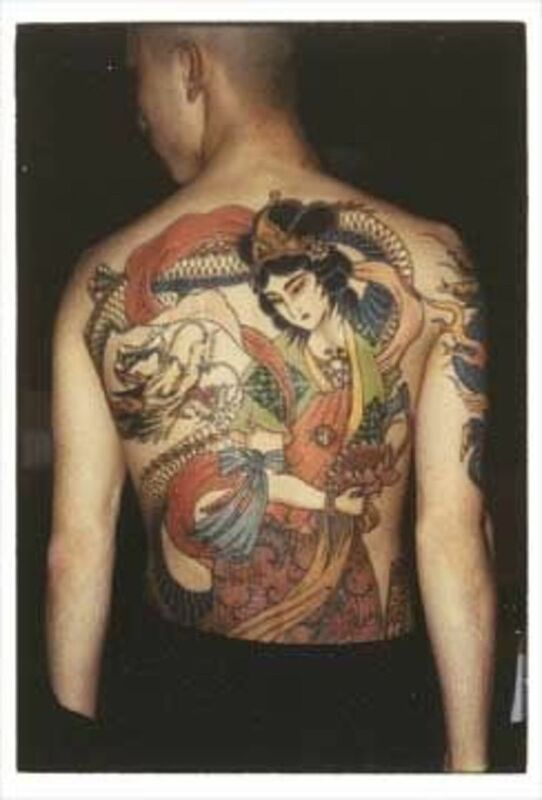 Japanese tattoos tend to have many of the same motifs, dragons, tengu masks, skulls, snakes, peony, sakura, Wind and Thunder gods, Oni, Kirin, Baku, and so on and so forth. 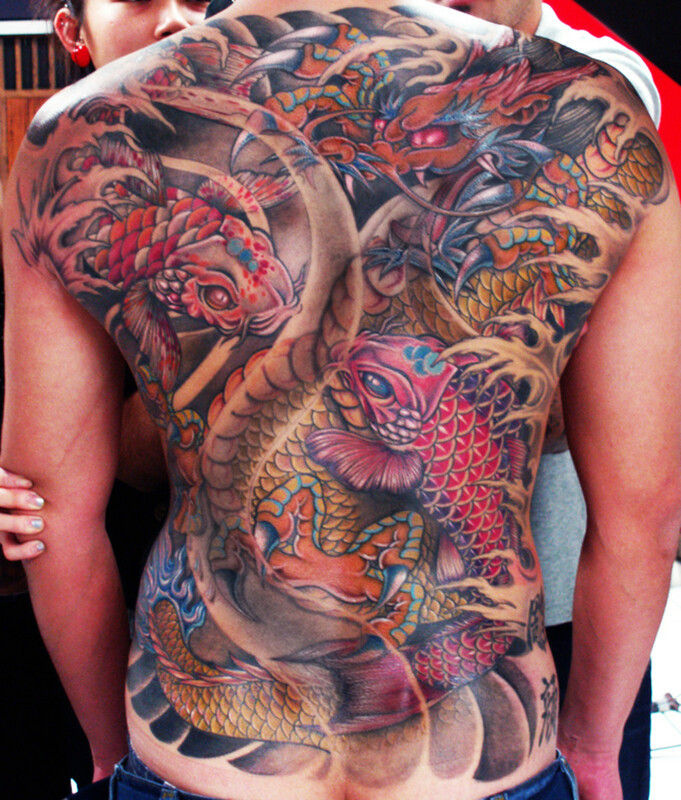 Japanese tattoos are strict in what can be shown together, and placement of the tattoo, for example, waves are technically only supposed to be under the waist, unless there is a koi or fish involved, or certain flowers are not supposed to be with certain motifs, for example, snakes cannot be depicted with winter flowers, because snakes are supposed to be in hibernation, and so much more. Certain deities cannot be with certain onis, and it only gets more complex. Japanese tattoos traditionally applied by hand, tebori, which means "hand-carved" although modern artists have since adopted machines. New School tattoos originated on the West Coast of the United States, and they have enjoyed a popularity with the younger crowd, especially those who want to commemorate those cartoons they love. 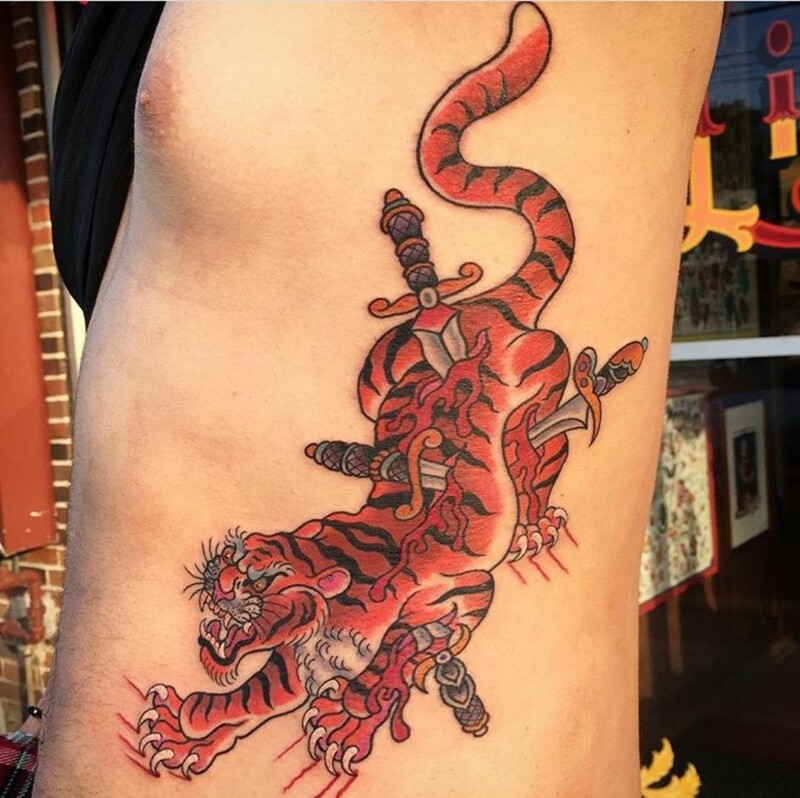 New School tattoos are characterized by some of the same things that redetermined old school tattoos, bold lines, heavy saturated colors, and such. 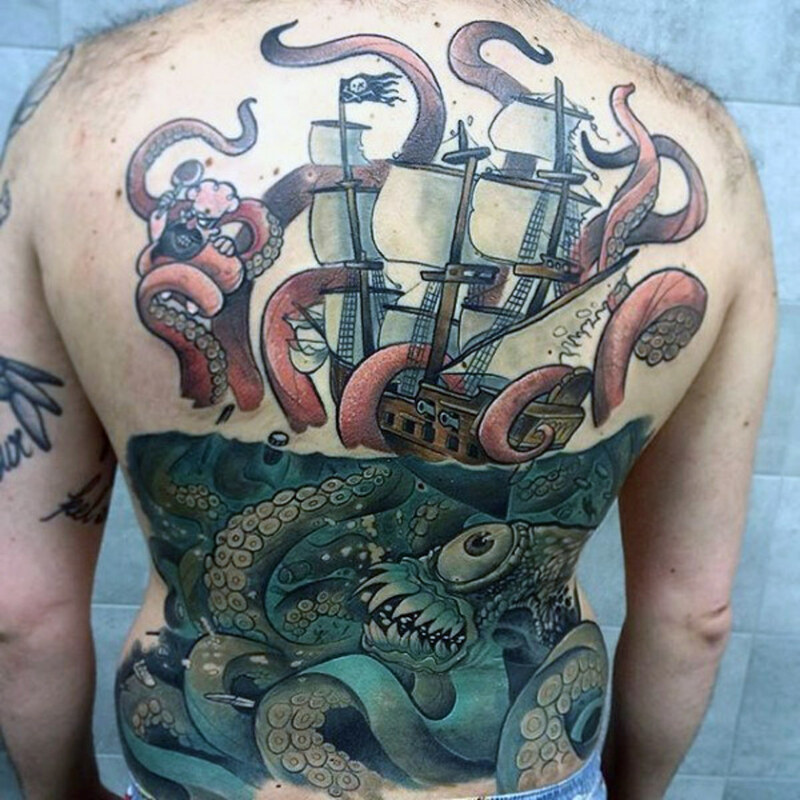 New School takes old tattoo concepts and turn them on its head. 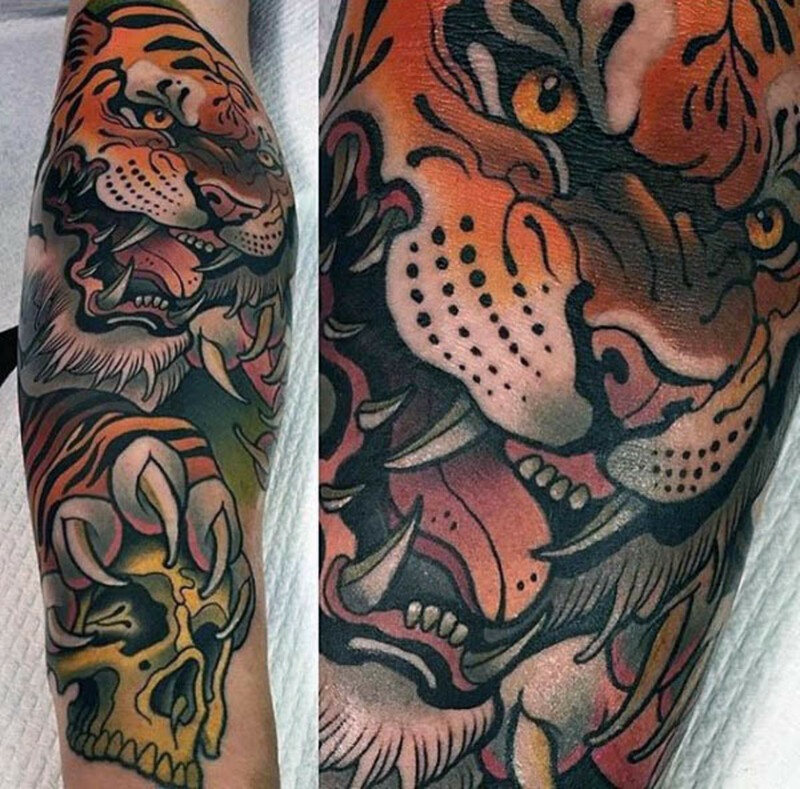 New School have subsets, neo-traditional, for example, is a subset of New School tattoos that revamp American Traditional art. 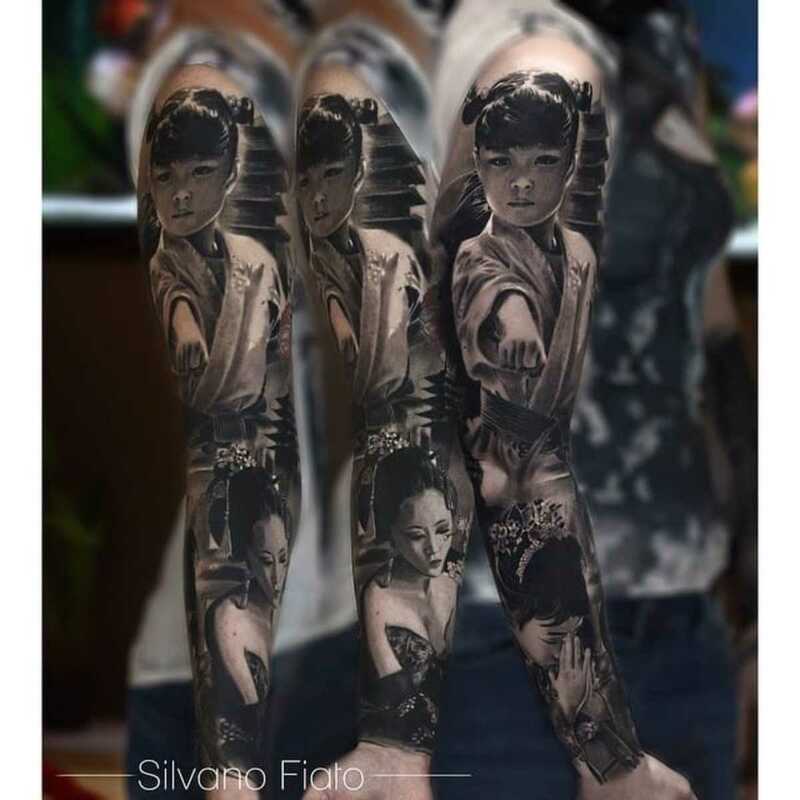 New School artists also turned the old concepts of secrecy in tattooing on its head, they were far more open, which in turn added to innovation in tattooing. 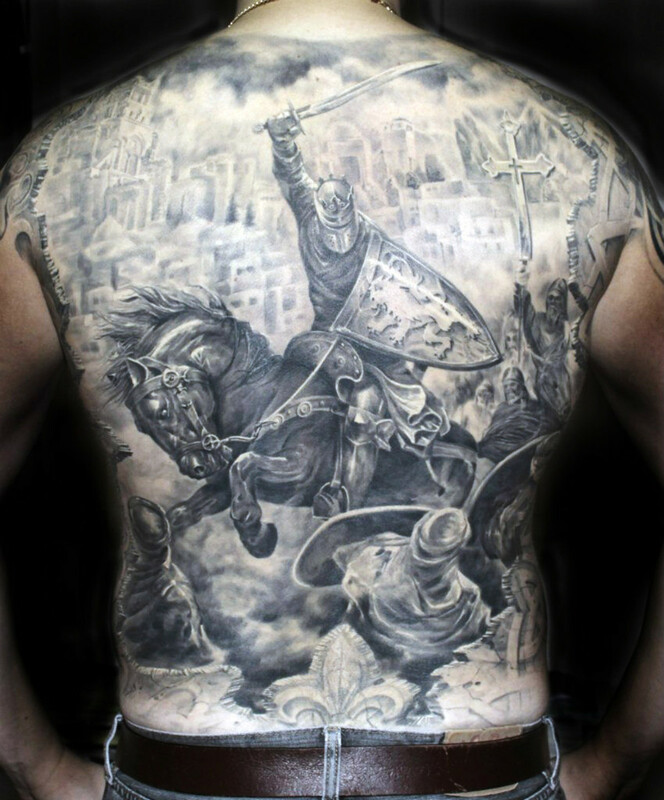 Traditionally, Black and Grey tattoos are done with black ink and only black ink. All other shades are obtained from diluting said black ink with water. This style of tattooing also use a lot of single needle. 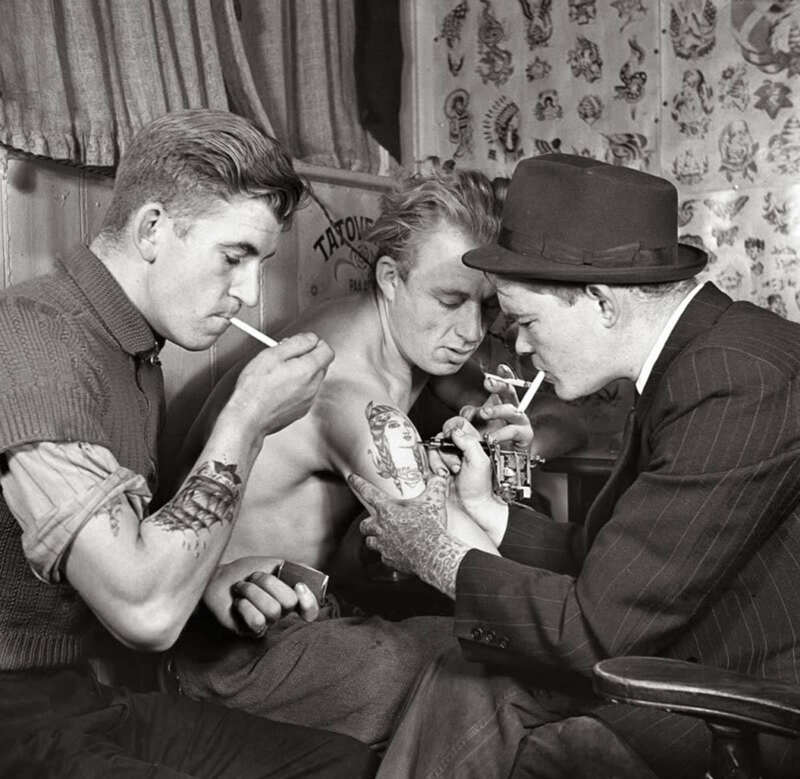 This style of tattooing is thought to have been started in prisons where ink and colors are severely limited, and had to use guitar strings as needles. 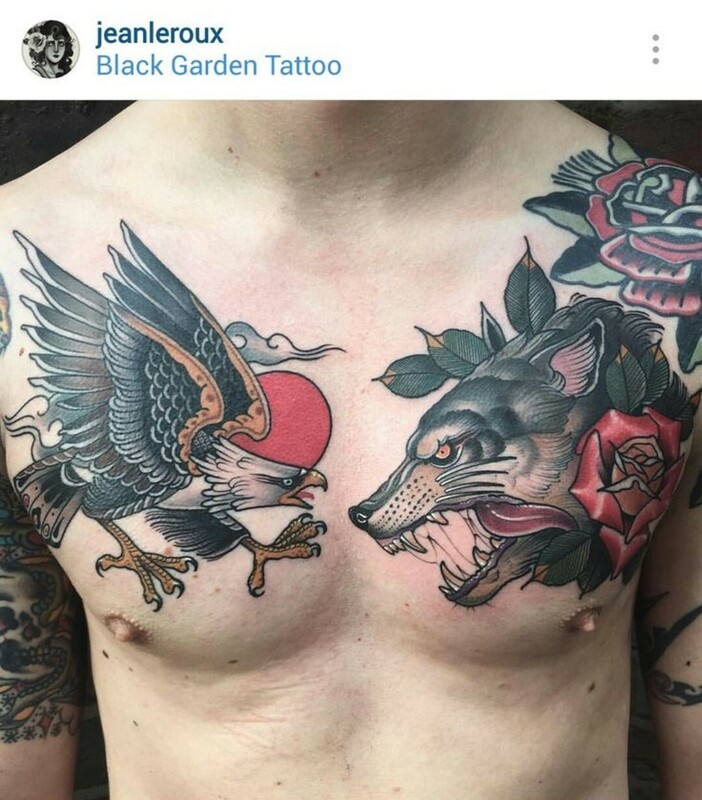 Black and Grey is hard to really classify as one "style" because Black and Grey tattoos can be used on American Traditional, to Japanese, to photorealism. 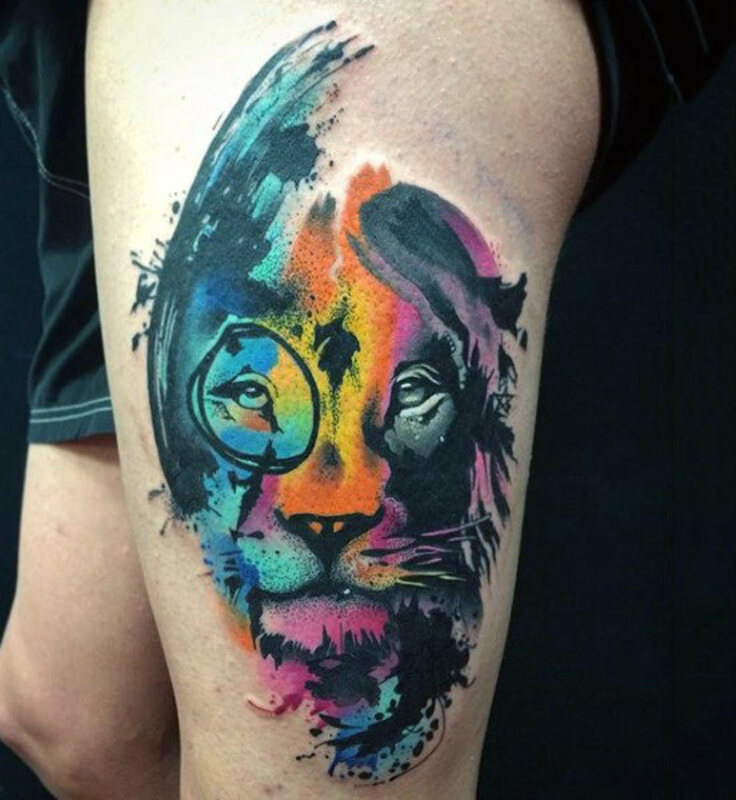 Watercolor tattoos recently hit a high in popularity, however they remain a controversial style of tattooing because of questions of how well they last. 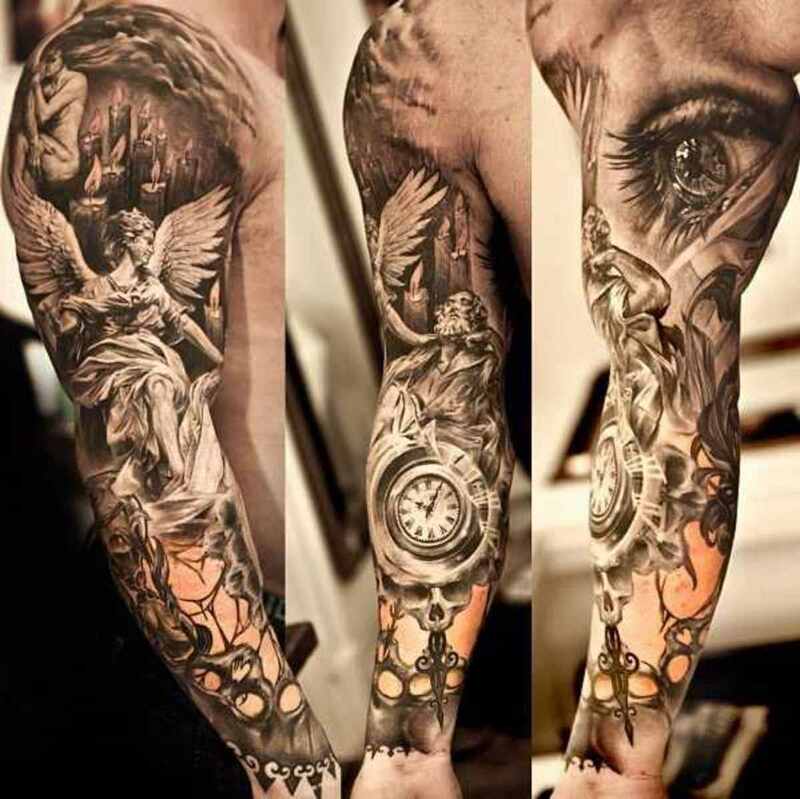 Many tattoo artists judge a tattoo on how well they hold, and Watercolor tattooing, to imitate the artistic styles of a brush, tend to be less saturated in terms of coloring, and therefore is easier to lose color and fade. Although ink and machines and technique are far more advanced nowadays than when Watercolor tattooing first appeared, and an argument can be made that it will last just as well as any other tattoo, provided standard protective measures are taken, however, if you are considering a watercolor tattoo, please take caution and keep in mind that it may be prone to fading much easier than the standard tattoo. 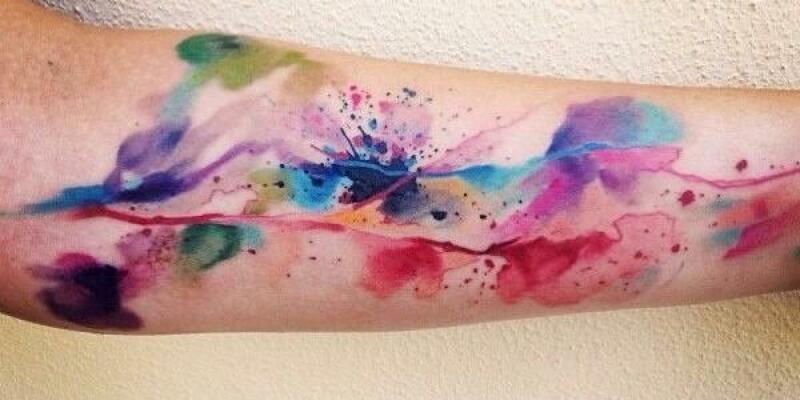 Watercolor tattoos are known for utilizing soft colors, being abstract, and jumping out of the outlines of the tattoo. 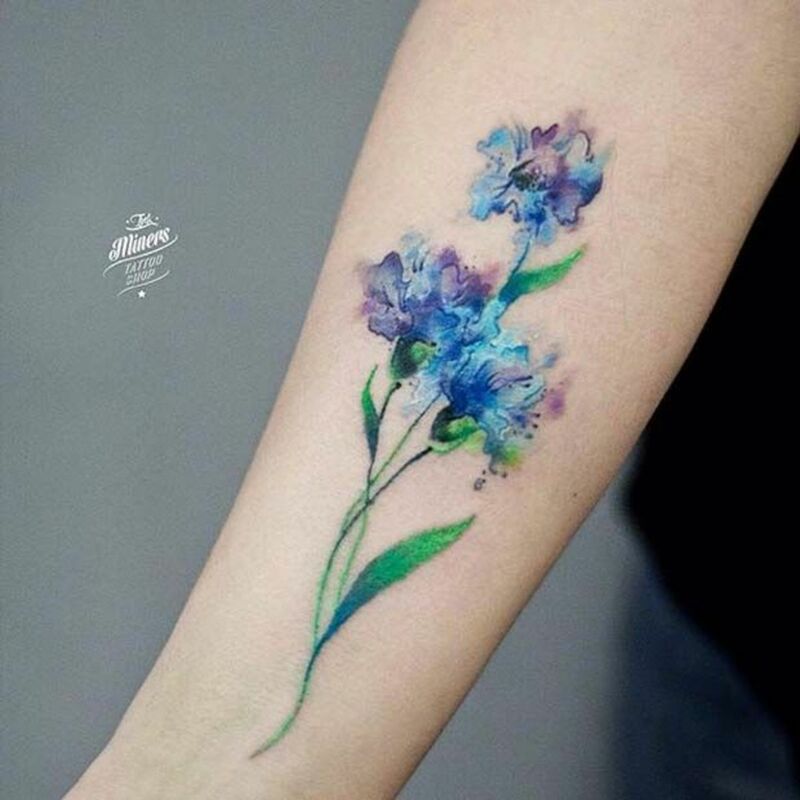 Watercolor tattoos can be simply brushstroke or utilized in conjunction with other styles of outlining. Tribal tattoos are the oldest style of tattooing. From Jomon Japanese tattoos to the Maori Tattoos of New Zealand, Tribal tattoos have a long history of representing different things, from family, to for purely beauty aesthetic reasons. Tribal tattoos are known for many repeated lines, using negative geometric space, symmetry, and heavy blacks. 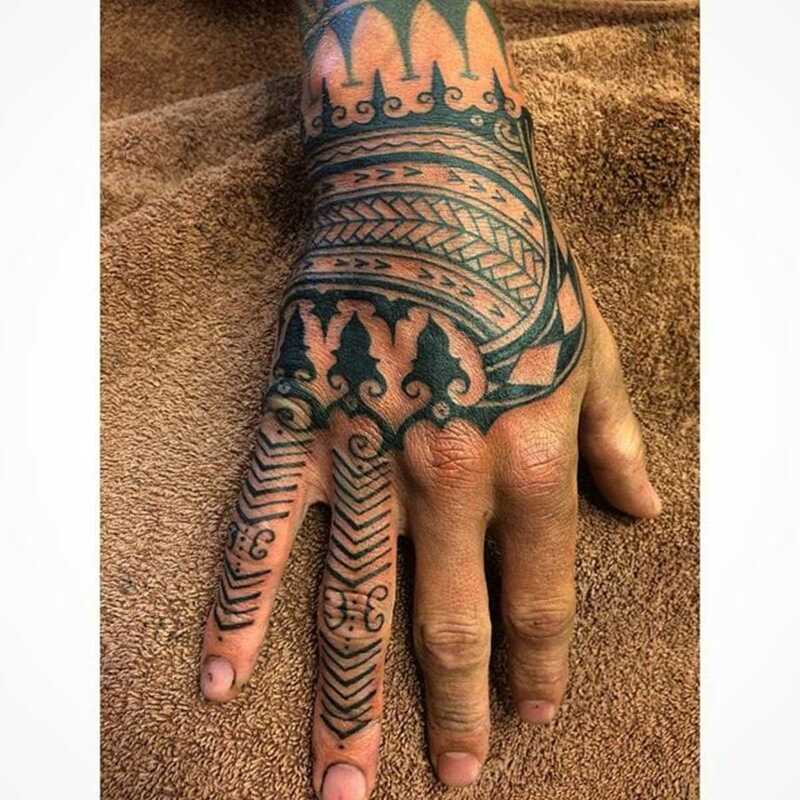 True tribal tattoos tend to be more intricate than those thick heavy black lines. There really is not much to say about tribal, except if you want to get tribal tattoos, please get a legitimate tribal tattoo, not those 90's "fad" tattoos. 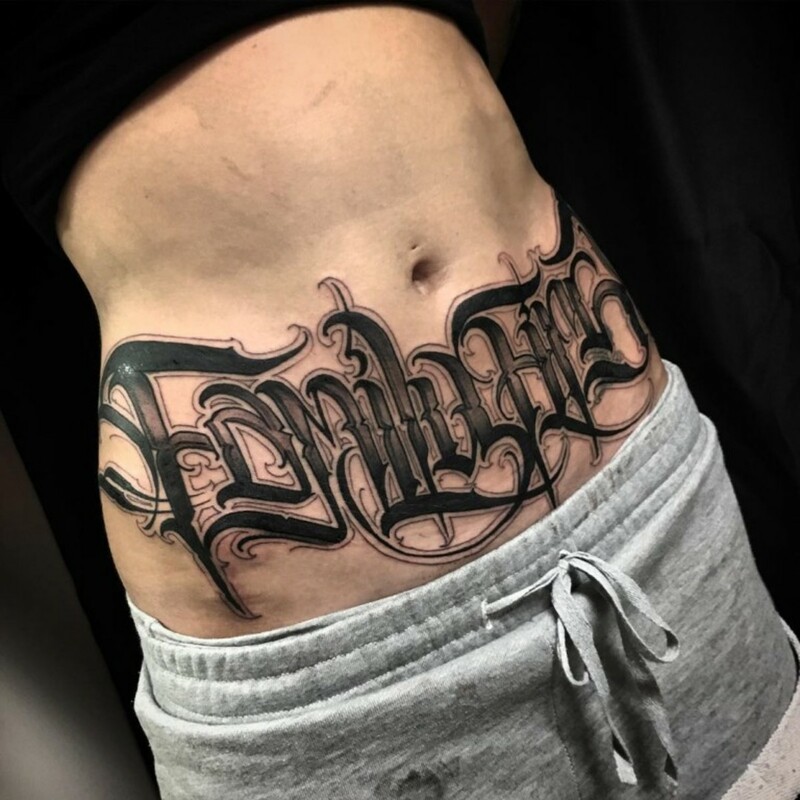 Script tattoos are another self explanatory tattoo, they are tattoos of words or numbers, either stylized or not. Script tattoos can be extremely versatile, they can be as cute and subtle as a birthday on the wrist, as badass as that across the chest inscription, or as tasteless as Jared Leto's Joker "Damaged" tattoo. 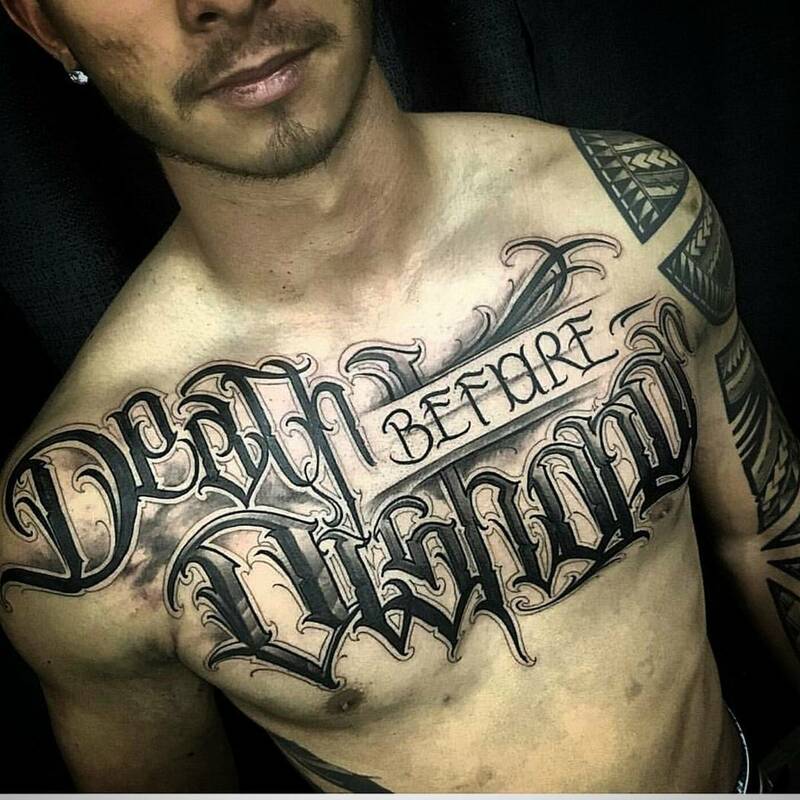 Please exercise common sense, research, and spellcheck before getting a script tattoo. And, please try not to get script in languages you don't speak. 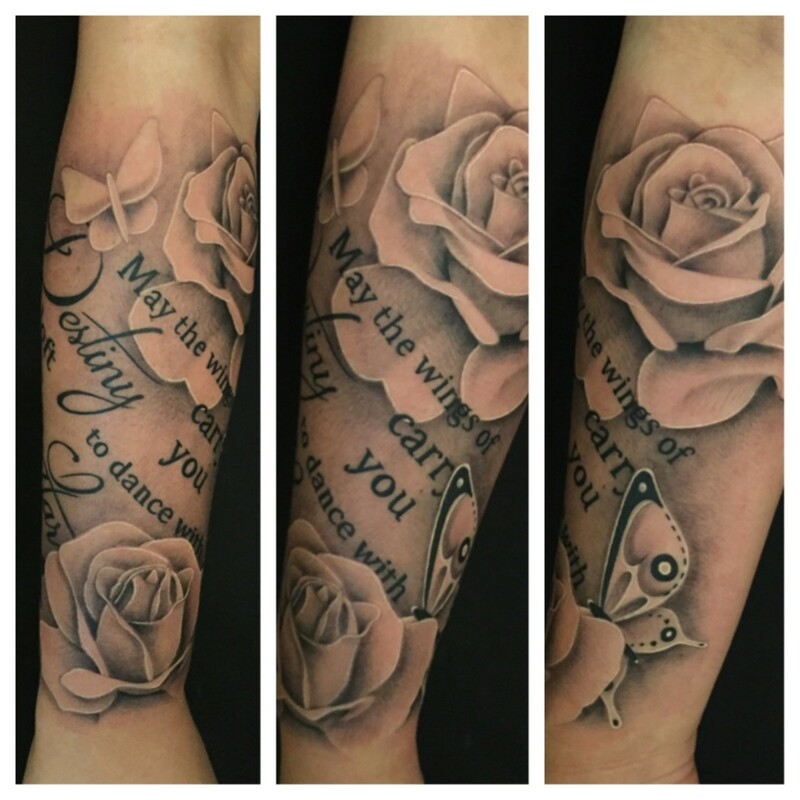 Most tattoo artists can handle script tattoos, so there are no true recommendations in this section. 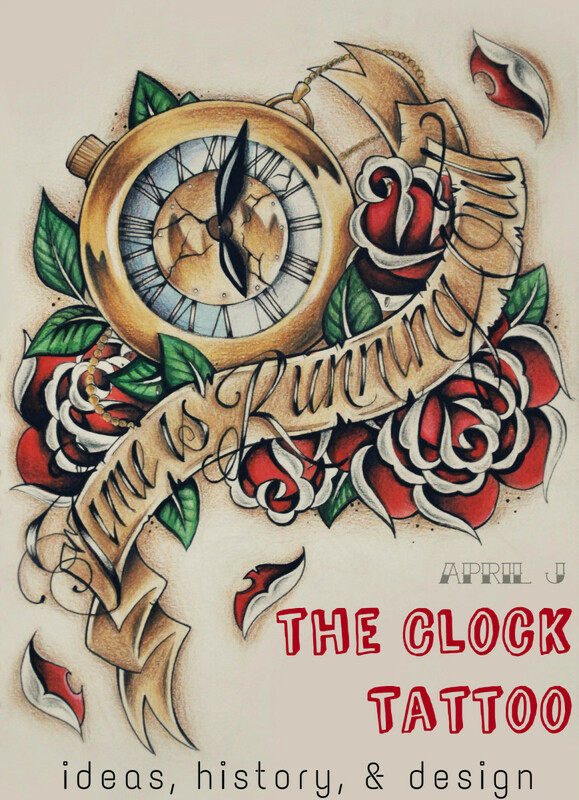 There are a lot more tattoo styles I haven't covered, but this should cover the mainstays of the tattoo world. I hope you enjoyed reading this article and leave comments! This is the first article I've ever written so I look forward to your feedback.